Parent Tested Parent Approved gave the Buddy kids case, the world's first antibacterial tablet case for kids, the Winner's Seal of Approval. "Getting the product tested and reviewed by real parents at PTPA was the final validation that it is ideal for families." NEW YORK, NY, January 29, 2019 /24-7PressRelease/ -- The Buddy kids case by Pure Sense Cases transcends normal tablet protection with innovative antimicrobial technology from SteriTouch. The rugged, shockproof tablet case is made of heavy-duty EVA foam with reinforced corner protection. Designed specifically for kids and in bright colors, it's built to be indestructible. Recently, Parent Tested Parent Approved (PTPA) gave the Buddy case their Winner's Seal of Approval, proving that the germ-resistant case is one of the most practical iPad kids cases on the market. "Back when we first began designing the Buddy case, we wanted to make sure it was suitable for kids and parents," said Pavel Smirnov of Pure Sense Cases. "Getting the product tested and reviewed by real parents at PTPA was the final validation that it is ideal for families." 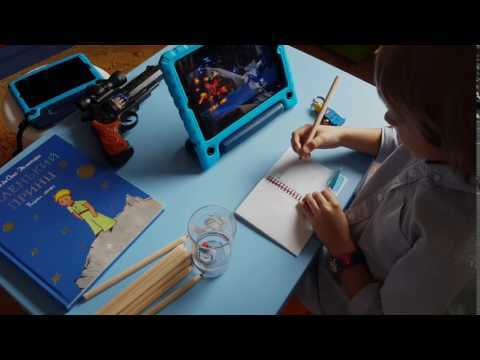 The Pure Sense Buddy kids case is the world's first germ-resistant kids iPad and tablet case on the market. It is infused with SteriTouch material, a patented safe additive based on ionic silver that has antimicrobial properties. Independent testing of the cases has shown that they have more than 99.9% reduction in cases of MRSA and E.coli compared to others. The Buddy kids case is ROHS compliant and non-toxic, making it one of the safest kids tablet cases on the market. Customers notice the Pure Sense difference, and one reviewer said, "the iPad has been dropped all over and is working just fine. Great for small children!" Pure Sense Cases was started by founders of Tablet2Cases (sold more than 1 million tablet cases worldwide since 2011) with the goal of creating a safe tablet case that protects tablets and children. Using extensive knowledge in tablet case design and manufacturing processes, the Tablet2Cases team designed the Buddy kids case by combining the ultra-durability of the company's proven products with the technology of SteriTouch, an antimicrobial product that restricts the growth of bacteria, mold, and fungi. View case options for various devices at https://www.puresensecases.com/collections/all-products.